The Fall Armyworm is native to the US and northern parts of South America (Argentina). I think that everyone is quite surprised to find it in central Africa and especially South Africa. 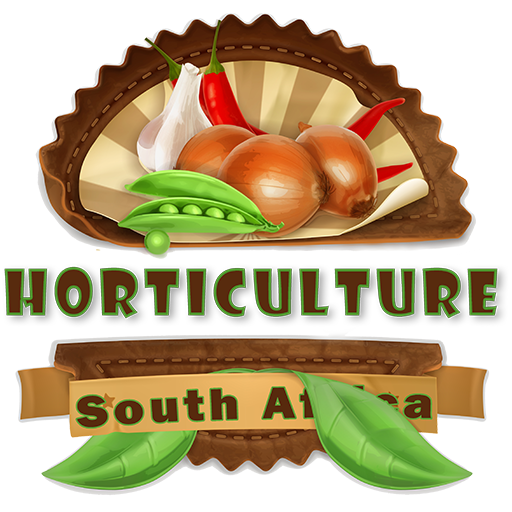 The spread of Fall Armyworm in to South Africa can be attributed to globalization and we will have to deal with many more such problems in the future. This is exactly why there are strict controls ito hygiene in bringing foreign seed into a country, especially a continent where it is not a problem. Initial reports indicate a spread in West Africa and even Nigeria but it has moved on to Zimbabwe, Malawi, Mozambique, Namibia, South Africa and Zambia. A lot of scientists and Government officials are using the word “looking into the problem“. Now if I was a grower, “looking into something that is imminent” is not a good sign. Words like, “use this and that control method now” is kinda more promising. There are a lot of emergency meetings going on. The word emergency is not very soothing. The Fall Armyworm loves a lot of different plants (about 80 different types with grasses its favourite), not just maize. Controlling it on maize and not on neighboring fields and other crops means it is not controlled properly and will be a problem later on. There are no resistant maize or corn varieties on the market. Maybe in 15 years time, but not at the moment. Here is my biggest concern: The Fall Armyworm does not have a lot of natural predators in Africa (not that we know off). This is an important fact. Natural predators keep insects in check around commercial fields. This is the best and biological control one can have. 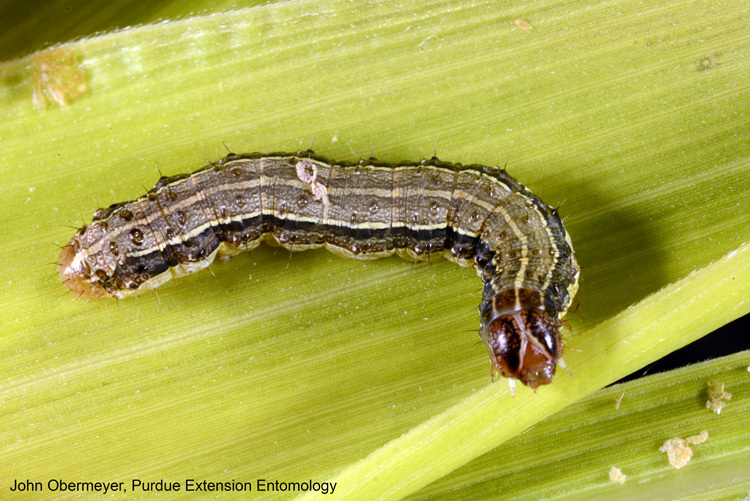 The “Guide for Control of Plant Pest” does not list any chemicals registered for Fall Armyworm. Let’s hope some of the plethora of chemicals registered for Stalk Borer will have an effect. Gowers don’t know what to spray because no chemicals are officially registered. Even in the US it is very difficult to control and various methods have to be applied at different stages of growth for effective control, this includes changing planting times. Spraying with genetically modified Bacillus thuringiensis var kurstaki seems the most effective method of control. Timing is very important as one has to spray as soon as the larvae appear on the leaf. Some growers spray Beauveria bassiana, canola oil or kaolin and even neem as last resort. I am not sure if any growers have access to these chemicals in South Africa. Featured image credit: John Obermeyer, Purdue Extension Entomology. Thanks to Ricky E. Foster from Purdue University for allowing me to use the image (https://www.purdue.edu/). Please read his article on MANAGING INSECTS IN COMMERCIALLY GROWN SWEET CORN.